Grilling and broiling are dry-heat cooking methods that rely on heat being conducted through the air from an open flame. This type of cooking produces browning reactions on the surface of the food, thus encouraging the development of complex flavors and aromas. Because air is a poor conductor of heat, broiling and grilling require the food to be quite close to the heat source, which in this case is likely to be an open flame. Thus the surface of the food cooks very quickly, making this type of cooking ideal for extremely tender cuts of meat, poultry or fish. In fact, because of the extremely hot and dry nature of this cooking method, it is customary to marinate items that will be broiled or grilled — although the best steaks are a notable exception to this rule. An important part of grilling and broiling is the "turn" — which refers to flipping the item over to cook the other side. Though it can be tempting to move things around while grilling, a little restraint will go a long way. Generally speaking, you should only turn an item once, which means cooking one side, turning it to finish the cooking, and then taking it off the grill. Since there's not much else to do, knowing when to turn is pretty much the essence of grilling, and it's a sense that you'll develop with experience. One exception to the "don't move it" rule is that cooks will often rotate an item on the grill to mark it with cross-hatched grill lines. About one-third of a turn — like from 12 o'clock to 8 o'clock on a watch dial — would give the most attractive results. Incidentally, there is one significant distinction between broiling and grilling, which is that grilling involves heating the food from below, while broiling involves heating from above. In both cases, the food is typically turned once during cooking, and a grid or grate of some kind is used, which gives the food the distinctive grill-marks that are the hallmark of this cooking technique. As with sautéing, it's critical to heat the broiler or grill before putting the food on it. 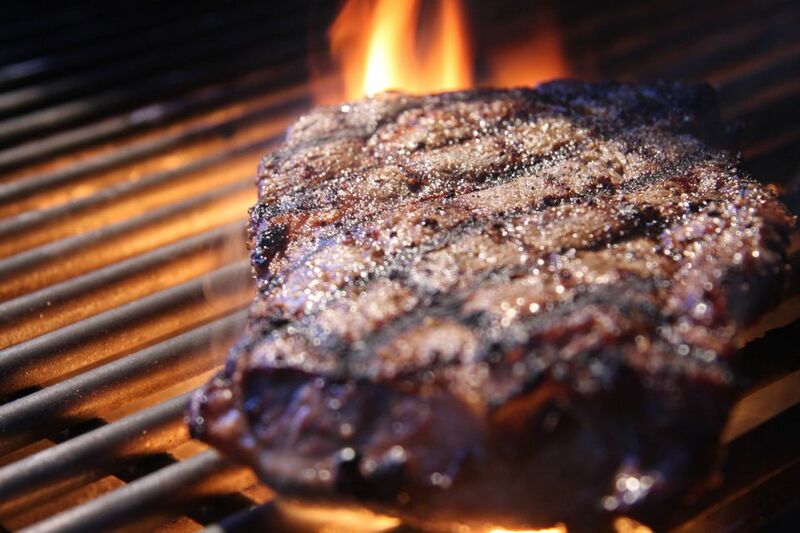 Barbecuing is similar to grilling and broiling in that it also uses an open flame to cook. But what defines barbecue is the use of wood or coals to produce the flame. But as with most things in the culinary world, there is a bit of wiggle room here. Some chefs consider charcoal cooking to be a form of barbecuing, while plenty of others would insist that barbecue entails cooking over a wood fire in an open pit. Either way, everyone agrees that cooking with wood imparts a smoky flavor that just isn't possible with a gas grill. Grill pans are specially constructed pans that have elevated ridges designed to simulate the grill marks obtained by cooking food on an open-flame grill. But is that really grilling? Technically, no. Remember, grilling cooks through the conduction of hot air, while a pan cooks by the conduction of heat through the pan itself. Here's an example of the difference: Suppose you're cooking burgers on a grill. Any fat that drips off of the burgers falls away and doesn't interfere with the heat from the flame or coals below. With a grill pan, however, the fat merely collects in the pan. So if you do use a grill pan, you'll want to pour off any grease that cooks out into the pan, otherwise, your burgers are effectively fried instead of grilled.